Whether you're visiting for business or pleasure, Zimbabwe's vast selection of accommodation will not disappoint. Ranging from affordable self catering or bed & breakfast options to lavish hotels, you'll be spoilt for choice. Imagine eating your breakfast overlooking the Zambezi River as you're serenaded by birdsong, or sharing a sunset walk with a herd of majestic elephants. 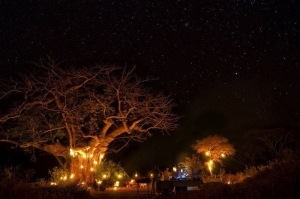 If you want to get back to nature, without sacrificing comfort, Zimbabwe's plethora of luxury safari camps, campsites and lodges provides the perfect retreat. Chilo Safari Lodge are delighted to introduce their STAY 4 and PAY 3 Special Offer. Mustard Seed Fun Quiz Night.